My Mid-Life Motherhood: "Animal Six"
In recent years our older kids have become involved in the theatre. They have participated in several school productions and have thoroughly enjoyed the Theatre and Kids summer camps. 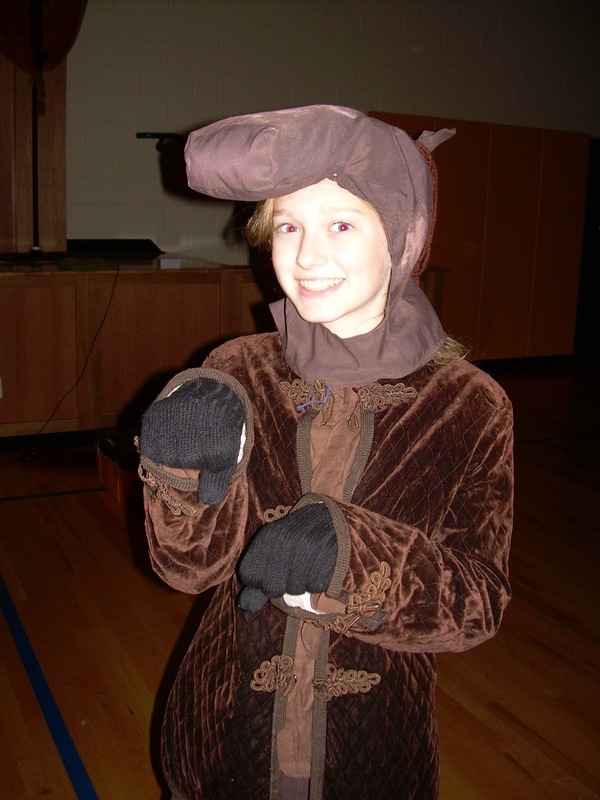 Last year was the first time that we encouraged them to audition for a community production through Theatre and Kids, because they were slated to do Chronicles of Narnia: The Lion, The Witch and The Wardrobe! 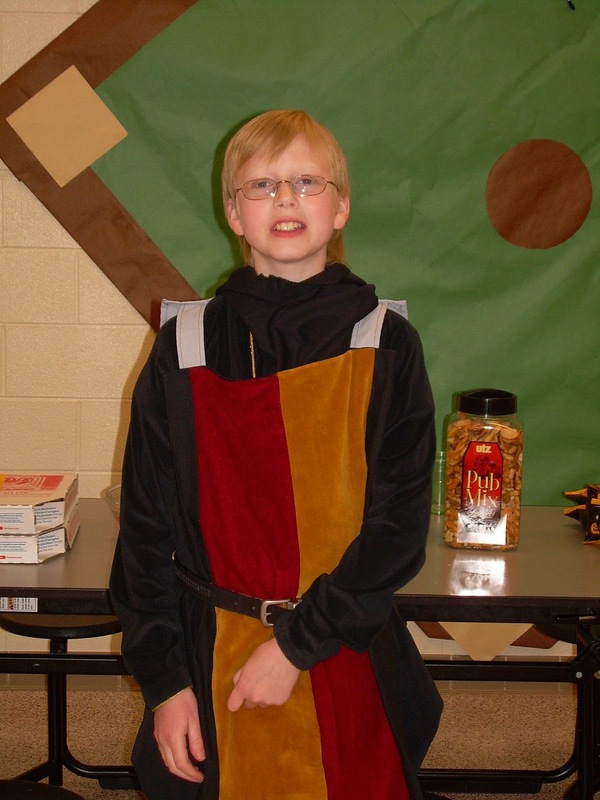 As the Narnia books and movies are beloved family favorites, our children were eager to audition...especially Darlin'. I encouraged Bud to go for it too, even though it was his first year at a new school - with all new routines, teachers and a lot more homework. They worked hard to memorize their monologues. Darlin' auditioned with a dramatic piece for Galadriel, from Lord of the Rings, (accent and all,) hoping to play Susan or the White Which. Bud, who just wanted to get to do some stage fighting, chose something a little less, well, dramatic: Syndrome from The Incredibles! One of my worst fears was that only one of the of kids would get a part in the play and the other would be left "standing in the wings." 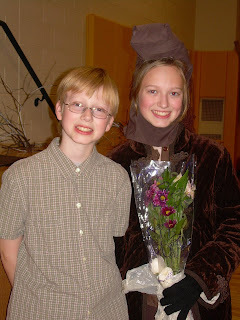 A few days later we were excited to find that both kids had received roles in the play! I was not prepared, however, for the result. Our son had been cast as Edmund! Wow! What an accomplishment, to land a lead the first time out?! (Naturally, he was thrilled that stage combat would be involved!) Our daughter...Animal Six.... In case you're wondering, tears were involved. To make matters worse, I tried to console my daughter. I explained that they probably wanted an older girl if Bud was playing Edmund. Probably taller, more experienced, etc. The next day Darlin' arrived at school to find that the "new girl", whom we had invited to audition, had landed the part of Susan. Same grade, same age, slightly taller, in fact they look like they could be sisters! Poor Darlin'. Despite her smaller role, Darlin' faithfully attended rehearsal, helped her brother with lines and encouraged her new friend (she'd be the first to tell ya that she portrayed Susan wonderfully!) To her credit, Darlin' embraced the essence of Animal Six and delivered her lines with much gusto. In an effort to encourage Darlin', while being supportive and excited for Bud's leading role, our family decided to sport T-shirts to the production. On the front we had a logo for Narnia and on the back in huge letters it read: "GO ANIMAL SIX." Under that, in fine print it read: "and Edmund too!" All the cousins sportin' their supportive T's! We even made a toddler version for the baby to wear...you can imagine that it attracted a bit of attention. Both kids were thrilled and it brought a lot of levity to what could have been a touchy situation. Amazing how T-shirts can calm teen drama, eh? Who knew?! This year the kids both participated in the Theatre and Kids summer camp. Bud as a camper and Darlin' as an apprentice. They each learned new skills and developed greater confidence in their performances. Our daughter had a wonderful opportunity to participate in the One Acts, in which she really shown as a narrator in Sleepy Hollow and as a little girl in another one act. School arrived and they each anticipated auditioning for the upcoming production of Jane Eyre. Soon after school started, each of the kids decided to run for student council...can you guess where this is going? Darlin' lost her Vice Presidential race with grace. The very next day, my son returned home from school and excitedly, but quietly, pulled me aside to announce that he had won his race, he was Junior High President! It was Animal Six all over again. Despite Darlin's loss, I felt that President did deserve a few cheers and she too congratulated him on his success. Of course, I continue to address him as Mr. President, being the proud Mama that I am! As auditions for Jane Eyre loomed ever closer, my only thought was, "Please, Lord, not another Animal Six?!" I truly felt that my heart would break should Darlin' watch her little bro achieve, yet again, in an area where she too desired to excel but instead found herself deflated. Besides, I would like to wholeheartedly support his (and her) achievements without any sense of guilt. With so few boys that audition, I was pretty confident that he would get a part, but with so many girls that try out I new it would be a fierce competition for any major female roles. My hope and prayer was that both of them would get parts that they were excited about, content with and eager to perform. Both kids worked hard to find and prepare a monologue. Darlin' performed one of Jo's monologues from Little Women, while Bud portrayed Mr. Knightley reprimanding Emma from that Jane Austen classic of the same name. It was with great trepidation and anticipation that we eagerly awaited the posting of the cast list. In fact, we tried for 45 minutes to find out where it was posted, to no avail. Finally, Hubby sent Darlin' a text to congratulate her on being cast as...drum roll please...Jane! You can only imagine the excitement when we finally found out that the curse of Animal Six had been broken! Darlin' may still be in shock over the fact that she landed the lead for the next few months! 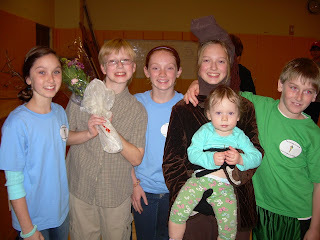 Naturally, there was great celebration in our house that both kids received roles that they are enthusiastic to perform! Apparently, Bud plays St. John Rivers, who proposes to Jane...so we're all wondering how that's gonna play out?! Thankfully, both our kids have a great sense of humor. They embraced the Go Animal Six T-shirts last year, in fact it was their idea! Upon learning of her role, Darlin' even called her Aunt to inform her that she had indeed been cast as Jane and not "third bush to the left" as our family had been teasing. (Gee, we're supportive, eh?!) As I mentioned, it's a good thing they have a great sense of humor. Suppose I'd rather prepare them for worst case scenarios and be pleasantly surprised! And pleasantly surprised we were! Congratulations to my kiddos! Well done, Mr. President and Jane Eyre! Wonder what kind of T-shirts we'll make this year? !